HIV Specalists - Phoenix, AZ: Spectrum Medical Group, P.C. Knowledge and experience are symbiotic. 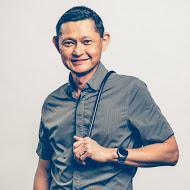 HIV specialists who treat thousands of HIV-infected individuals have more experience recognizing symptoms, addressing complications, developing care plans and treatment regimens than a general practitioner taking care of only a few HIV patients each year. Since HIV impacts the whole person, both physical and emotional, those who care for HIV infected people need to be able to communicate with their patients and understand the special needs that HIV presents. HIV specialists are adept at both because of the number of HIV patients they treat and the experience they have gained by taking care of them. In order to be an HIV specialist, a doctor must keep current with the rapid changes in HIV science. Through continuing education, journals, conferences and participation in clinical trials, HIV specialists are continuously learning how to best treat HIV. As a patient, being cared for by an HIV specialist makes that cutting edge treatment and therapy available. Treatment modalities thought to be helpful may in the future be no longer recommended. HIV specialists would know this immediately whereas a general practitioner may not hear about such treatment changes until much later. Make your first appointment with an HIV Specialist today! Spectrum Medical Group, P.C., is a leading provider of medical care for LGQBT patients throughout the Phoenix, AZ, region, offering comprehensive, state-of-the-art preventive care and medical treatments in a welcoming and inclusive atmosphere designed to build trust. Conveniently located on East Monterey Way, Spectrum Medical Group is committed to providing a broad array of care options, including transgender care, HIV care, diabetes care, testosterone therapy, PrEP (preexposure prophylaxis) for AIDS prevention, genital wart removal, and BOTOX®. 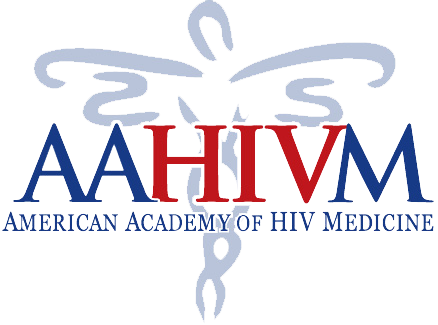 Spectrum Medical Group is certified by the American Academy of HIV Medicine (AAHIVM) and a leading provider of HIV care. The clinic also participates in clinical research surrounding HIV care and actively recruits study participants to receive cutting-edge and emerging HIV treatments. The medical team at Spectrum Medical Group is dedicated to helping all patients receive the highest-quality patient-centered care in an environment where they can feel valued and respected. In addition to the services the practice provides, the team provides additional outreach and referrals as needed to other LGQBT healthcare providers in the Greater Phoenix area. The practice welcomes the opportunity to care for new patients and accepts most major medical insurance plans. From the beginning, the ultimate goal of Spectrum Medical Group, P.C. has been to provide the absolute best care possible for our patients. With so many well-trained doctors and respectable medical practices in the Phoenix area, we strive to be a leader in medicine through clinical excellence and a more personal style of care. At Spectrum Medical Group, P.C., we accept most major insurance plans. Here is a short-list of just some of the most popular plans we accept. Please contact our office if you do not see your insurance provider listed.